Lithostratigraphic Analysis of Sedimentary Basins deals with the concepts and methodology of lithostratigraphic analysis used to elucidate various aspects of the geological history of sedimentary layers within a basin. The principles of stratigraphy and sedimentation as well as the influence of tectonism are discussed, along with their relevance to a variety of methods employed in the analysis of sedimentary basins. 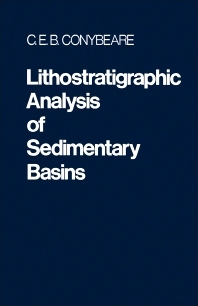 Comprised of seven chapters, this book begins with a classification of sedimentary basins and an overview of the methods used in their analysis. Certain lithological features, including sedimentary structures, textures, and assemblages of features that are considered to be diagnostic or indicative of particular depositional environments, are discussed, together with their implications for interpretations of the geologic history of a sedimentary basin on the basis of both macrostratigraphic and microstratigraphic criteria. Other lithologic analyses that are mentioned relate to petrophysical properties such as porosity and permeability and to chemical properties such as trace element, organic, and hydrocarbon content. Methods employed in the examination of outcrops and rock samples are also considered. The final chapter describes the application of sedimentary basin analysis to exploration of oil and gas, coal, and minerals, together with potential storage reservoirs for natural gas. This monograph will be of interest to geophysicists, geologists, geophysicists, and engineers.